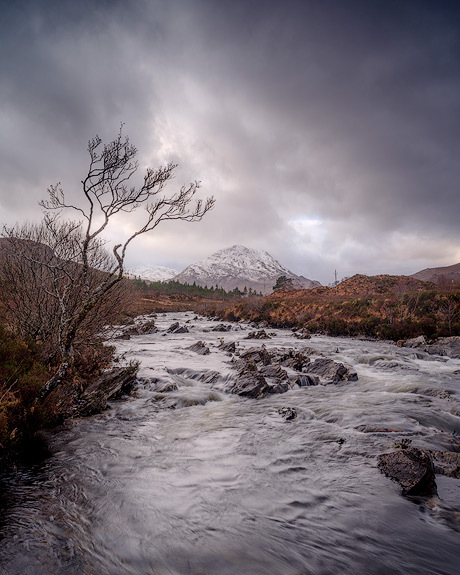 A difficult session of photography finally yielded an image on a trip to Torridon in 2018. The dark brooding rain bearing clouds were echoed wondefully on this river close to Loch Clair. Technical details: GFX and 35mm Pentax.